Candy Jar Books are proud to announce a new chapter in the adventures of Lethbridge-Stewart, Anne Travers, Bill Bishop and the men and women of the Fifth Operational Corps! Beginning at the end of August 2018, the Lethbridge-Stewart range returns with a six-book series celebrating fifty years of the Brigadier. And with it comes a brand-new look for the range. The first book in the series, Scary Monsters, is by Simon A Forward, who penned the 2016 Lethbridge-Stewart novel, Blood of Atlantis. Not only is it the first of the series, but if forms something of a sequel to Blood of Atlantis, with the return of popular character Grigoriy Bugayev and Señora Sophia Montilla. But Simon is keen to stress there’s more to it than that: “This is more than your average jaunt down memory lane and it’s about much more than introspection and reflection. 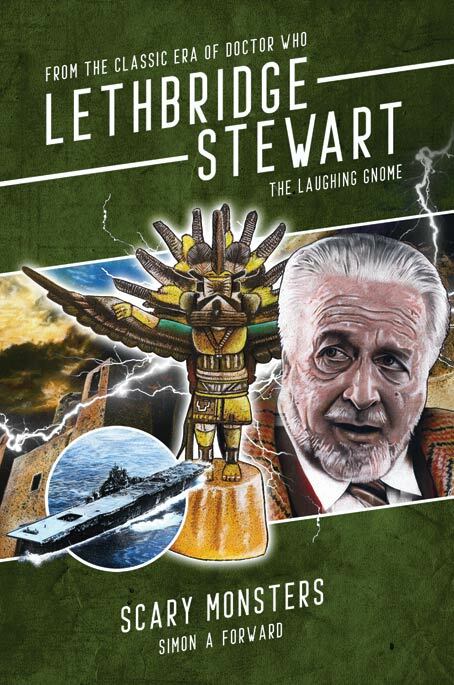 The Laughing Gnome: Scary Monsters is available for pre-order now for £8.99 (+ p&p). The book is released at the end of August. They are not great at getting them out. This set would have been covered by the November 2017 subscription payment, by the time they come out the may payment for the next set will have been taken. They are always delayed so chances of all of these coming out before the end of the year is slim. Sorry that should have been a reply to alex. They will be good as most of the series so far has been, but don’t expect them on schedule! So the range starts at the end of August. Can someone tell me if these books are monthly releases?